As a health wearable that far predates the invention of the term, hearing aids have always been an interesting spot. 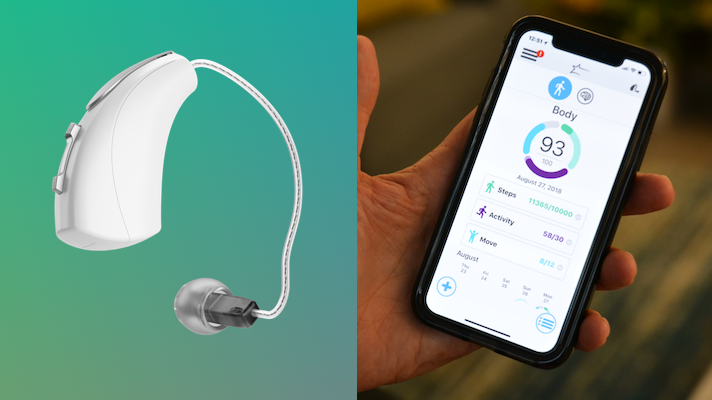 Now Minnesota hearing aid company Starkey Hearing Technologies, which launched one of the first hearing aids to connect directly to an iPhone back in 2014, has launched Livio AI. The product hopes to combine the feature sets of a hearing aid, a fitness wearable, and an AI health coach into one assistive product that can also help users communicate in other languages and, in the future, detect dangerous falls. The hearing aid contains inertial sensors that can integrate with Apple Health and Google Fit. These sensors allow the wearer to use their hearing aid to track their activity. A new app, Thrive Hearing, converts this data, as well as social engagement data, to a brain and body wellness score. These inertial sensors will also be used for fall detection after future app updates, the company said in a release. That Brain Score is made up of “hours of daily use, social engagement, and the tracking of active listening,” according to the company’s website. Livio AI also has advanced hearing aid features, of course. The company boasts 50 percent noise reduction, reduced listening effort, and enhanced clarity of speech. It even has a translation feature that can record speech in another language, translate it in the app, and then speak the translation directly into the user’s ear. The device is compatible with a company-made TV, remote control, and microphone, the latter of which allows users to access Amazon’s Alexa through their hearing aids, as well as to stream phone audio.